Do you have a story to tell? An idea to bring to life? 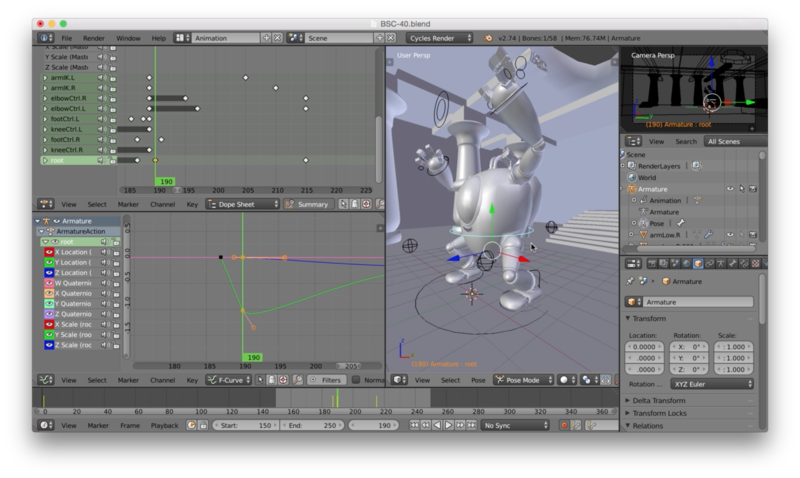 Then join me for "Blender Scene Creation," a project-based introduction to Blender and 3D animation. 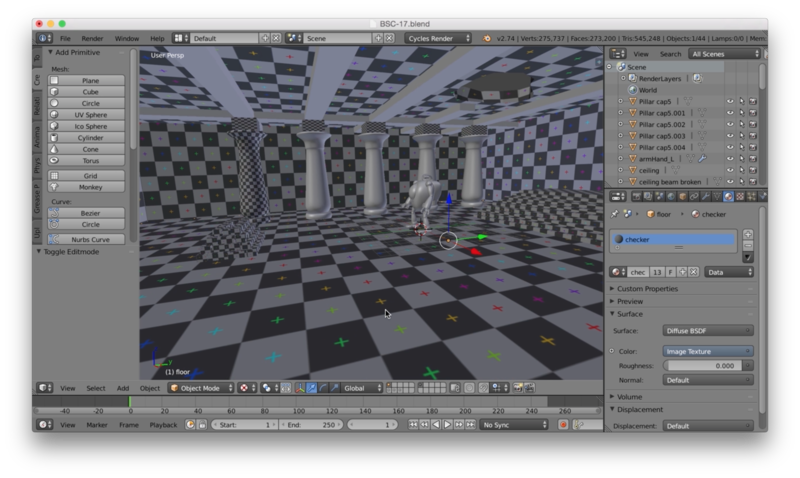 In this course we'll go through the process of creating an animated scene from scratch. 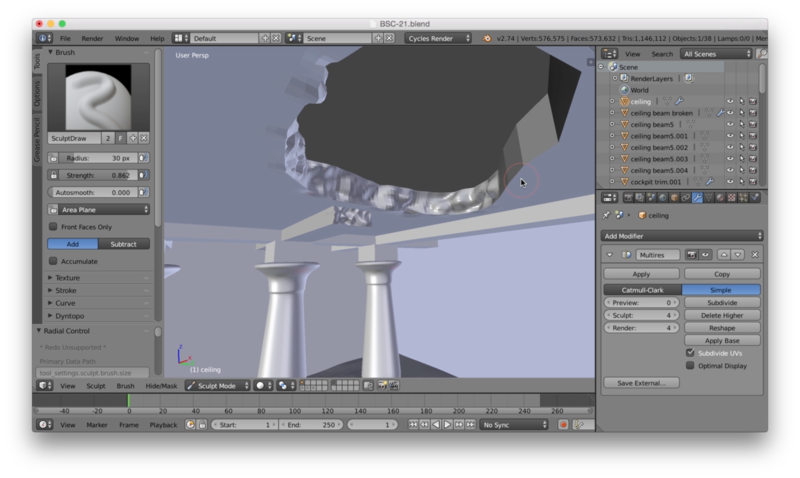 From the first polygon to the final render. 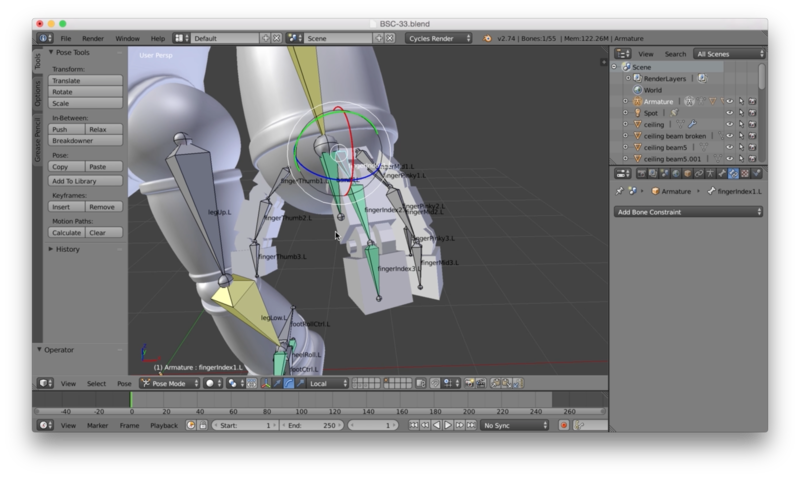 You'll learn all the steps involved in bringing your own animations to life. 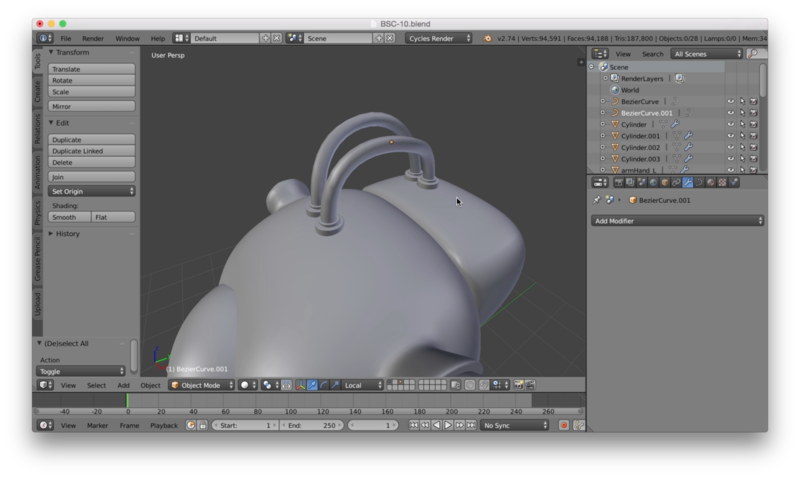 We'll start with Blender's user interface and navigation tools, providing you with a solid foundation before moving forward. 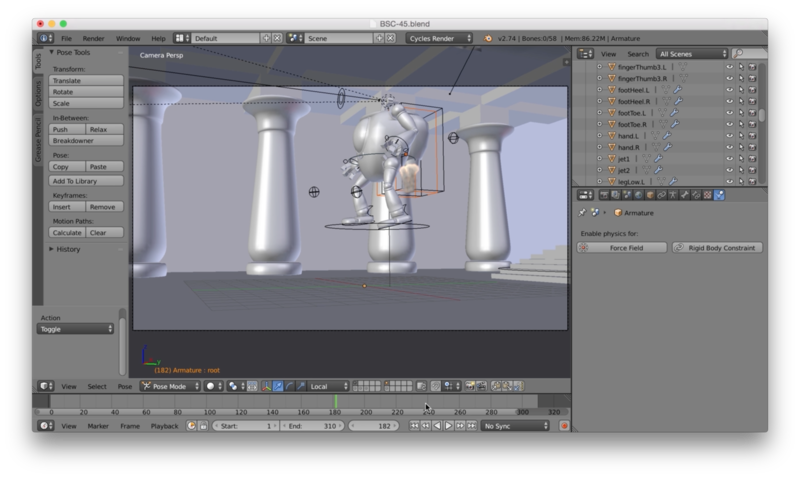 We will then begin modeling the mech character and the environment. 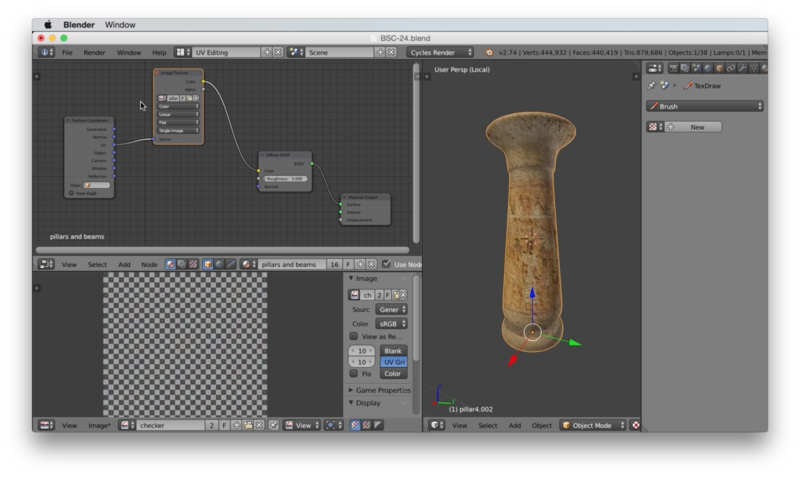 You'll learn how to UV map your 3D objects and texture them. 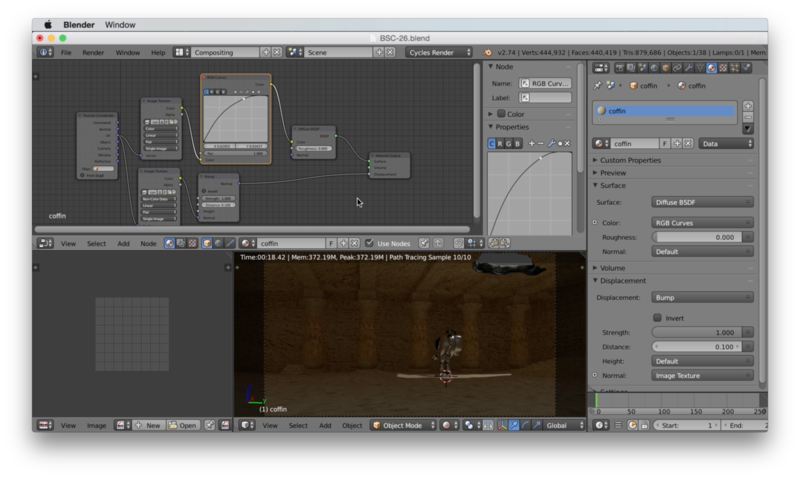 We'll use GIMP to prepare the textures, and the node editor to apply them to Cycles materials. 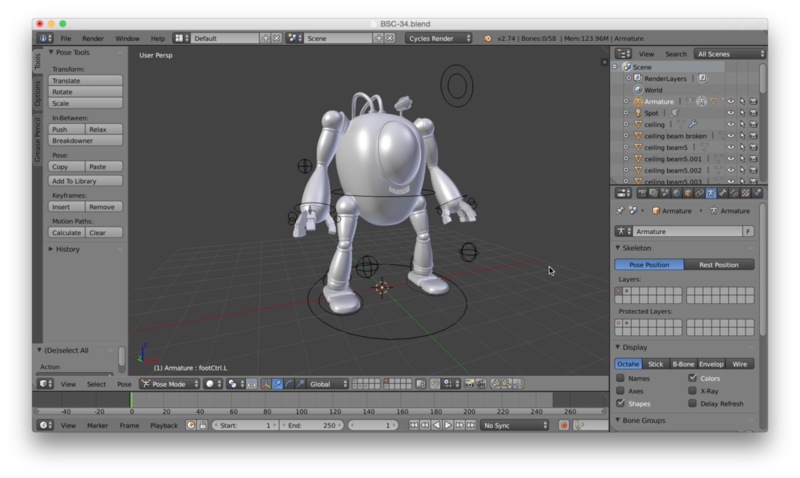 You'll learn how to rig and animate the mech, as well as animate the camera in the scene. 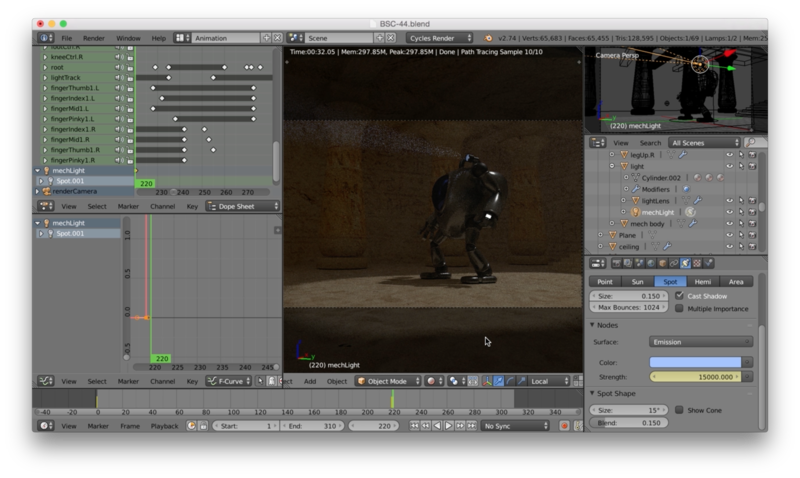 We'll create volumetric lighting and even create a jet flame effect for the mech's jet pack. 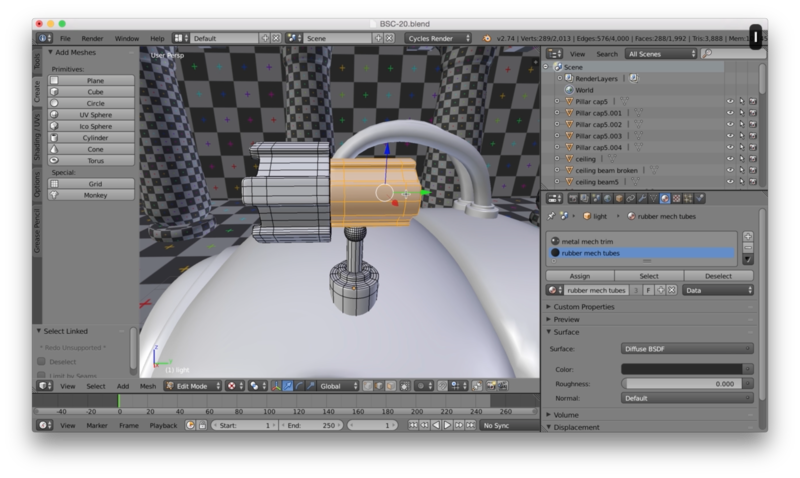 Finally, you'll learn how to render out your animation and use Blender's video sequence editor to create a Quicktime movie. 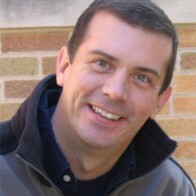 This course contains 69 videos with more than 11 hours of content.